Option 3 – Complete Postbox Unit with iPad, Software, Flight Case and 12 months’ support from Picture Blast Ltd. 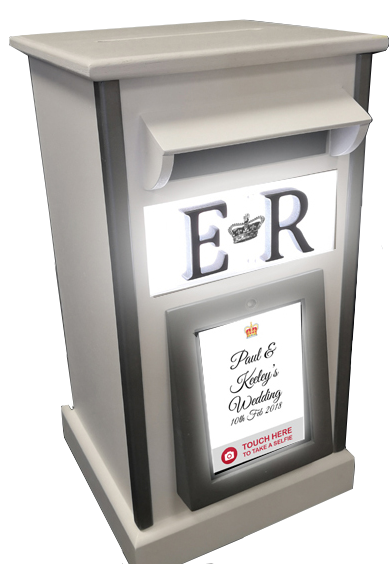 Unlike traditional photobooths, the Selfie Post Box is a ‘business in a (post) box’ that doesn’t require any management during events. Just drop it off or even courier it out to your customers with the software pre-installed and it’s ready to go. The Selfie Post Box is compatible with Facebook*, Twitter*, Instagram*, Email*, iMessage* and Airdrop* so it’s simple to use for guests; Post a card, snap a selfie and share it online! The photo booth can be used at all times not just when posting cards. The Selfie Post Box will collect all the digital images taken during an event for you to send to the host after the event. *External Sites and Options are out of our control and are subject to changes from the policies of the Facilities provided. *We cannot be held responsible for third party software. Please see package options available.